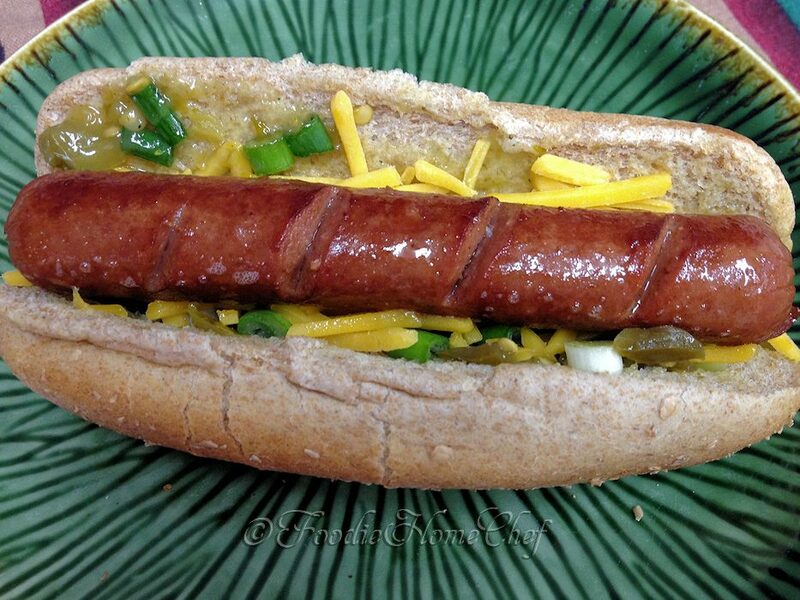 Get out of the doldrums with the same old boring hot dog & move on to this spicy, tasty version! 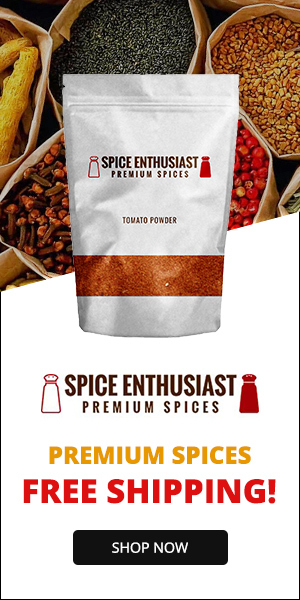 I usually serve these with baked sweet potato fries, stone ground corn tortilla chips or Terra (brand) exotic potato chips. A healthier option is a Mexican style side salad comprised of a handful of organic baby power greens like kale, spinach & chard combo topped with 1/3 cup of my Salsamole Two Ways or a side of my Corn & Black Bean Salad (see both recipes in the Mexican Food category). 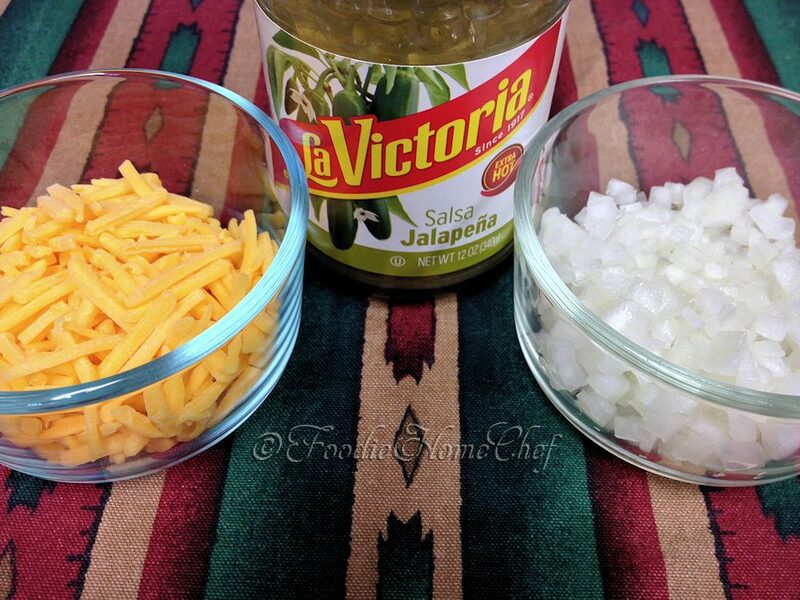 2 Smear entire inside of each bun with a thin layer of salsa, then add to each 1 Tblsp onion, any or all of the optional ingredients if using & 2 Tblsp cheese. Set aside. 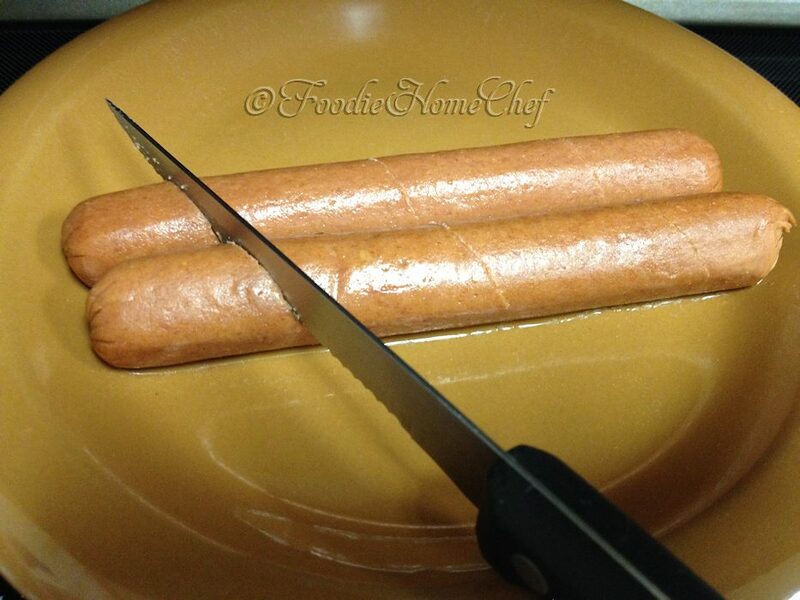 3 Cut 3 to 4 diagonal slits in the hot dogs. 4 Melt butter in a small frypan on med-high heat. Add hot dogs & cover. Fry 1 to 2 minutes till starting to brown. 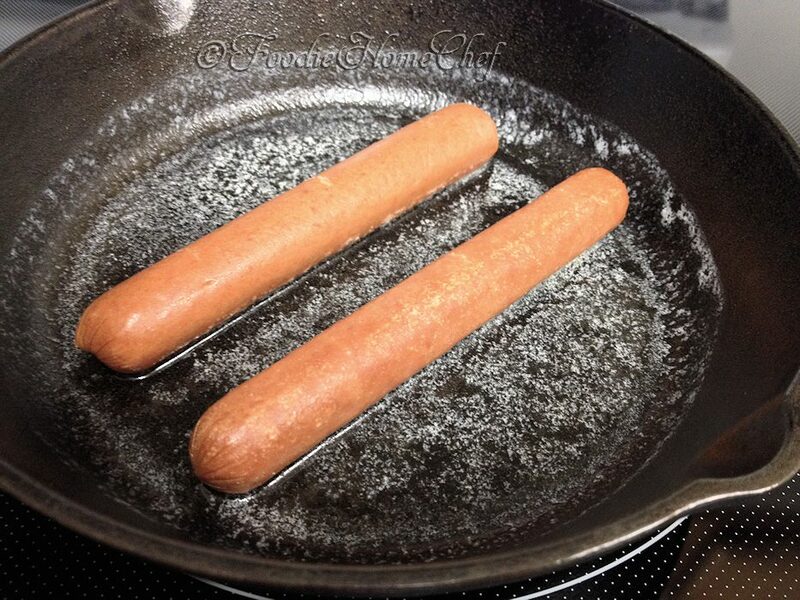 Turn hot dogs over, cover & fry another 1 to 2 minutes till browned. 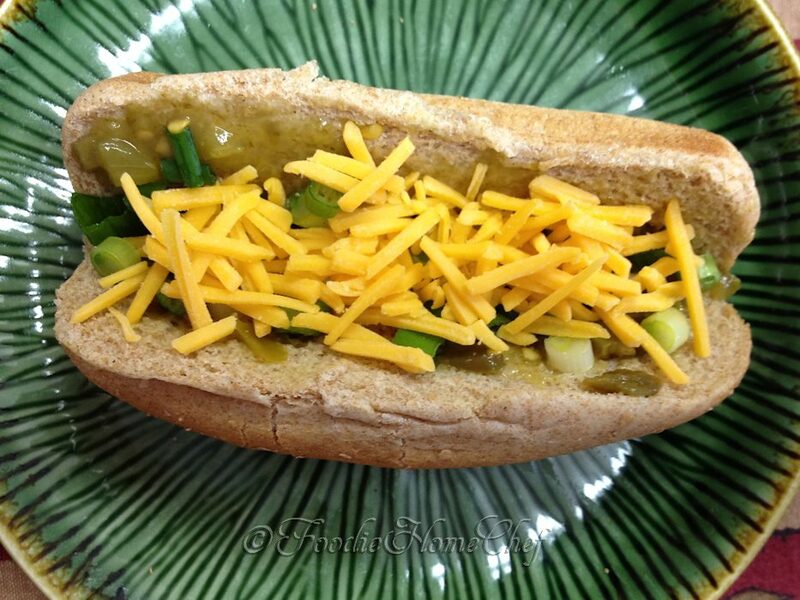 5 Immediately place a hot dog on top of the cheese in each bun, gently pressing down a bit. 6 Top with desired amount of mustard, some Avocado Crema (if using) & serve (see Tip# 2). 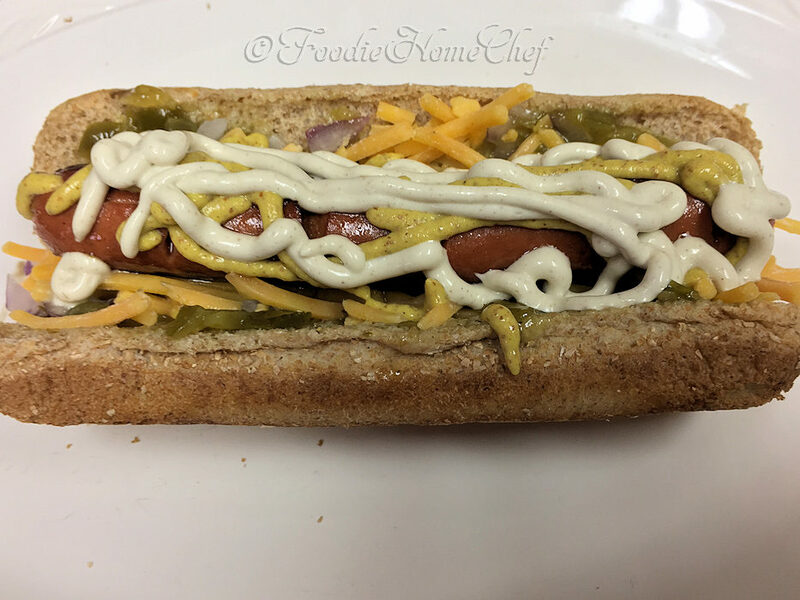 1 If you really want to load up these hot dogs, use larger buns like torpedo rolls that you can find in most supermarket bakeries. Was just thinking how I should make hot dogs tonight. Would love to try your avocado crema, such a great idea. 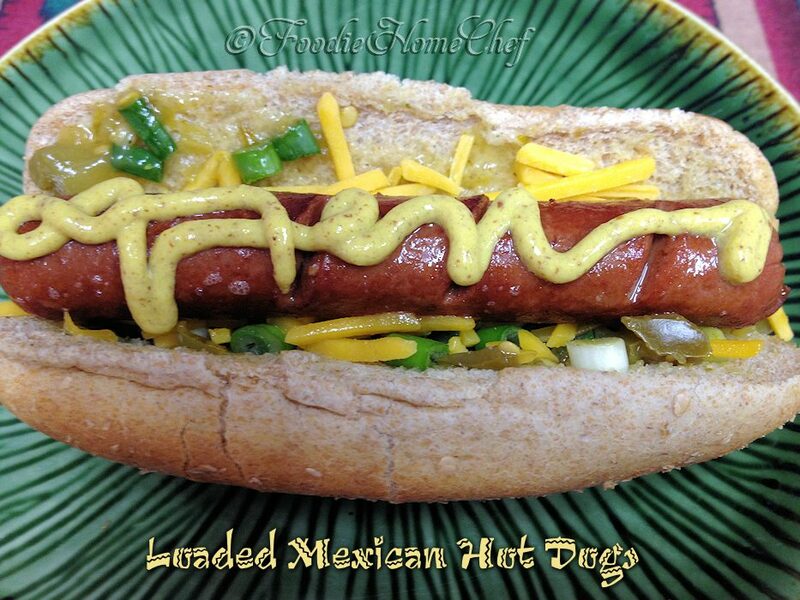 Thanks Milena… I hope you love both the hot dogs & the avocado crema once you try them!